In honor of this weekend’s NBA All-Star Weekend being played in New York City, the NBA has put together an amazing mapof New York City basketball legends. These are New York City’s greatest. I’ve taken the list and put together a team for the ages. No Knicks are on this team unless they grew up playing ball in New York. And sorry Melo, and really sorry, MJ, but being born in a Brooklyn hospital does not count as being a New York baller. Without further ado, your All-New York squad. 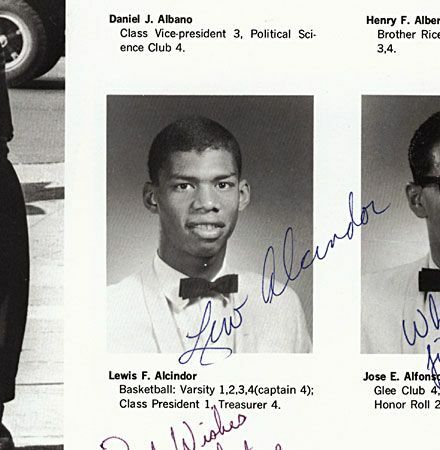 Kareem Abdul-Jabbar: Born and raised in the Dyckman houses, this former Power Memorial star is the NBA’s all-time leading scorer, and widely considered one of the greatest players ever. He was also in Airplane! 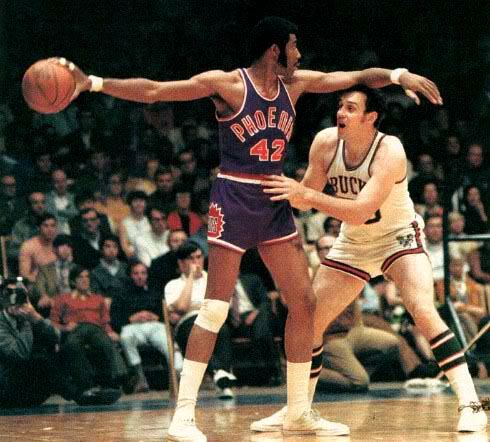 Connie Hawkins: Hawkins was a legendary streetball player who some say could have become the best player ever if not for a devastating knee injury. After leading Boys High School to back to back PSAL championships, Hawkins found his way to stardom in the ABA, playing briefly in the NBA after the leagues merged. Bernard King: No one ever had the mid-range game and few had the pure scoring ability of this former Fort Hamilton High School star. 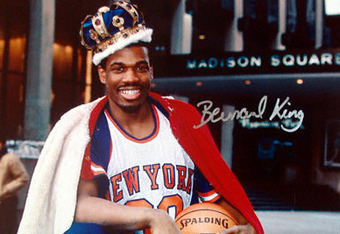 King played several seasons for the Knicks, leading the NBA in scoring in 1985. That season he dropped 60 points on Christmas against the New Jersey Nets. Chris Mullin: When the Big East was in its heyday as the most exciting conference in college basketball, one of its biggest stars was this Brooklynite, who led St. John’s to the Final Four. He had a great NBA career as well for the Golden State Warriors, and briefly with the Evil Pacers, where he teamed up with New York Mark Jackson. Most importantly, Mullin was named to the 1992 Dream Team. Here’s a childhood recollection by one of his fellow ballers from Flatlands, Brooklyn. Bob Cousy: This Queens product was the star of the Boston Celtics in the 1950s and early 60s, when he led them to six NBA championships, Cousy virtually invented the point guard position, the first of many great ones to come out of New York City. He was also the star of the first All-Star game in New York, more than 60 years ago. 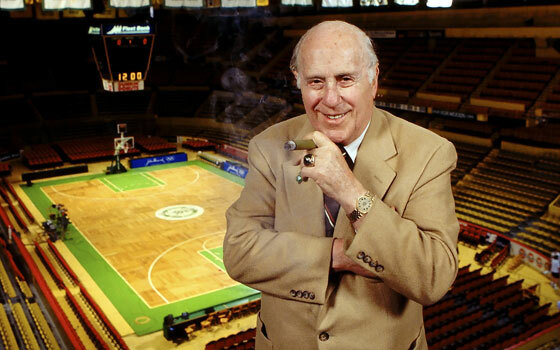 Red Auerbach: It’s ironic that the man who put Boston basketball on the map is a product of Williamsburg, Broadway and S. 5th, specifically. Auerbach played at Eastern District High School at the start of a career that ended with nine NBA titles as coach of the Celtics and another seven as General Manager. 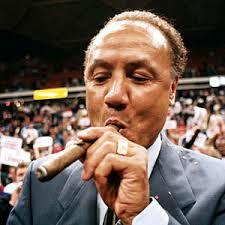 The first six of his championships were with fellow New York Bob Cousy at the helm. Earl “The Goat” Manigault: Though left off of this NBA chart, Manigault is considered by some to be the best streetballer of all-time. Abdul-Jabbar has called him perhaps the best player he ever competed against. 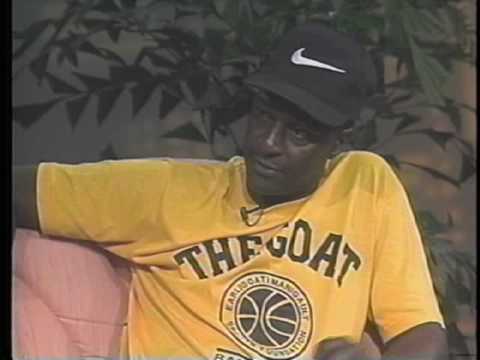 The Goat starred at Benjamin Franklin and in the Harlem pick-up scene thereafter. I saw him once when I was a kid. I want to know if he could really take quarters off the top of the backboard. 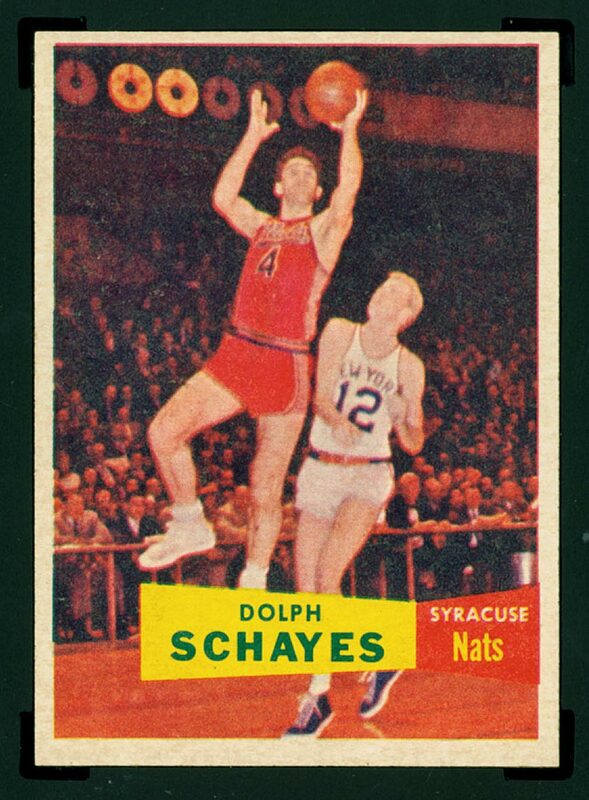 Dolph Schayes: One of the game’s first elite big guys, Schayes honed his game at DeWitt Clinton High school before a long and successful NBA career. You want old school? This guy won an NBA title for Syracuse. 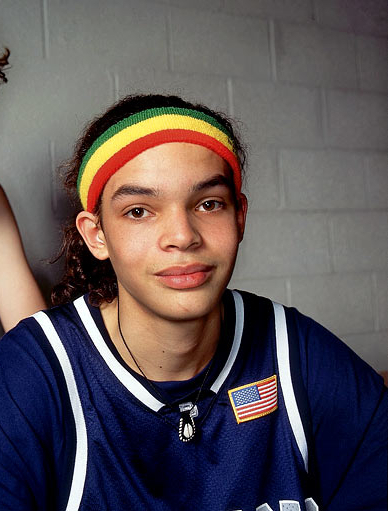 Joakim Noah: After playing against private school kids at Poly Prep in Brooklyn, Noah was the glue of back to back championship teams at the University of Florida, and continues to play that role for the Chicago Bulls. 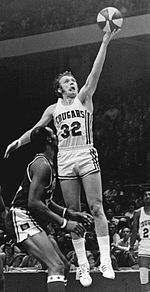 Billy Cunningham: The Erasmus High School star was all-NYC before excelling at North Carolina and in the NBA, where he played wingman to Wilt Chamberlain on the 76ers. 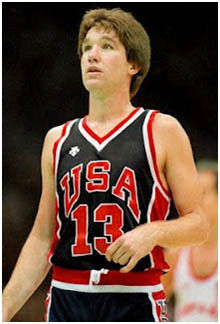 An all-star player, he later coached the Sixers to their last title in 1983. Pop Gates: After lighting it up at Benjamin Franklin High School, Gates became the biggest star of the New York Rens championship team of the late 1930s. He went on to play and coach for the Harlem Globetrotters. 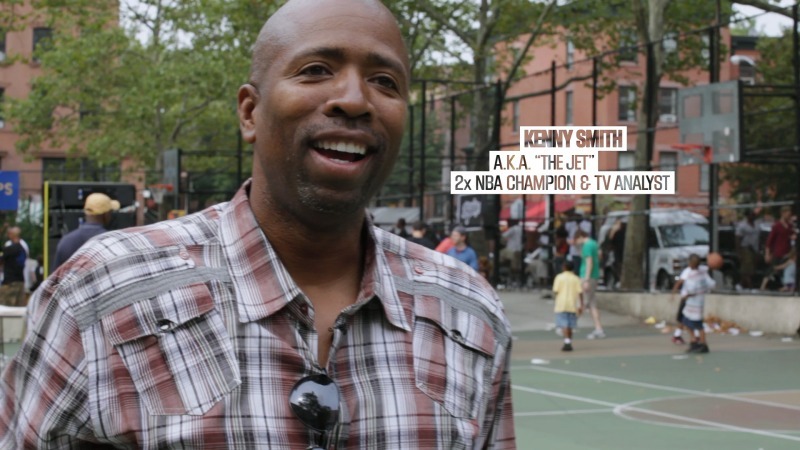 Kenny “The Jet” Smith: For a New Yorker, it’s a shame that Kenny’s claim to fame was as an important role player on the Houston Rockets championship team that beat the Knicks in the 1994 finals. This Archbishop Molloy grad is better known to today’s NBA fans know Smith as a lively analyst on TNT. New York City has produced more point guards than anywhere on Earth. Here are a few of them, the cream of the crop. Lenny Wilkins: This Brooklynite became one of the best point guards in the ABA and NBA, before becoming one of the league’s most successful coaches, winning the second most games in league history. Unfortunately, the one season that he coached the Knicks was an utter disaster. 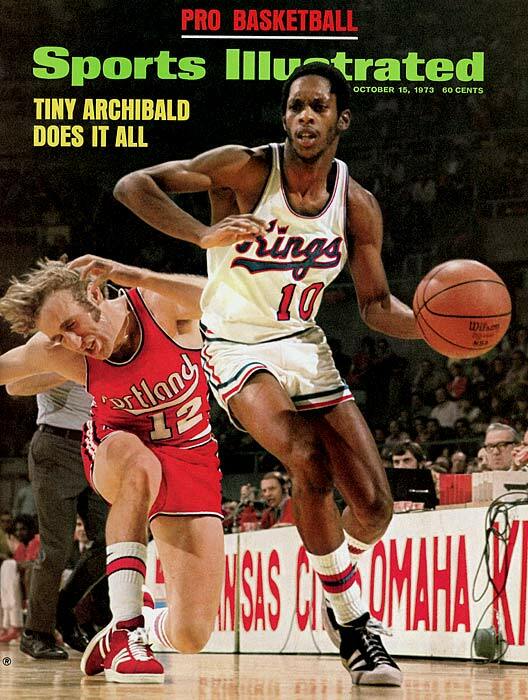 Tiny Archibald: Starring at Dewitt Clinton a generation after Dolph Schayes, Archibald became an NBA star, leading the league in both scoring and assists in 1973, a feat that is unlikely to be replicated anytime soon. 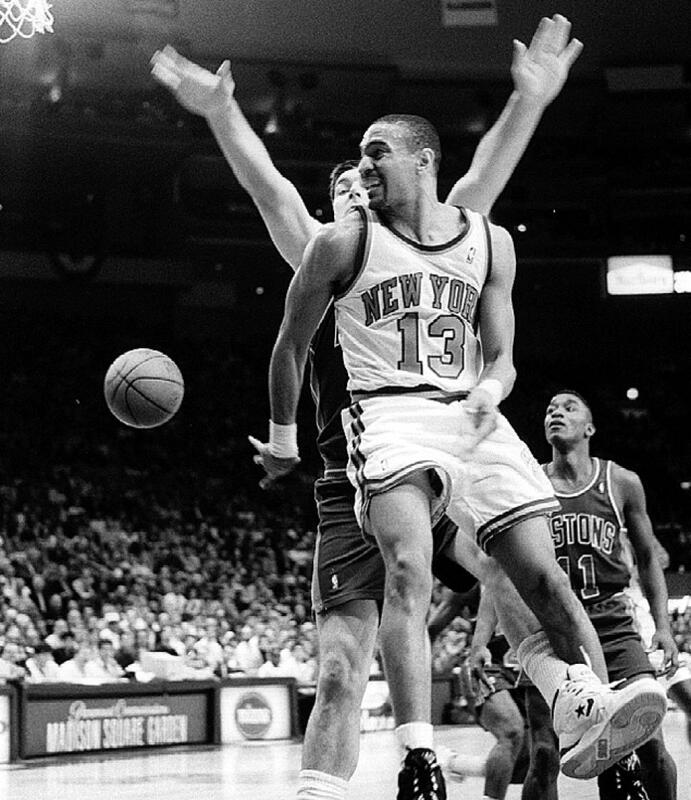 Mark Jackson: Few players live and breathe New York basketball more than Jackson, who starred at Bishop Loughlin High School and St. John’s before a great NBA career that included two runs with the Knicks. Continuing New York’s point guard tradition, Jackson is fourth on the NBA all-time assist list. 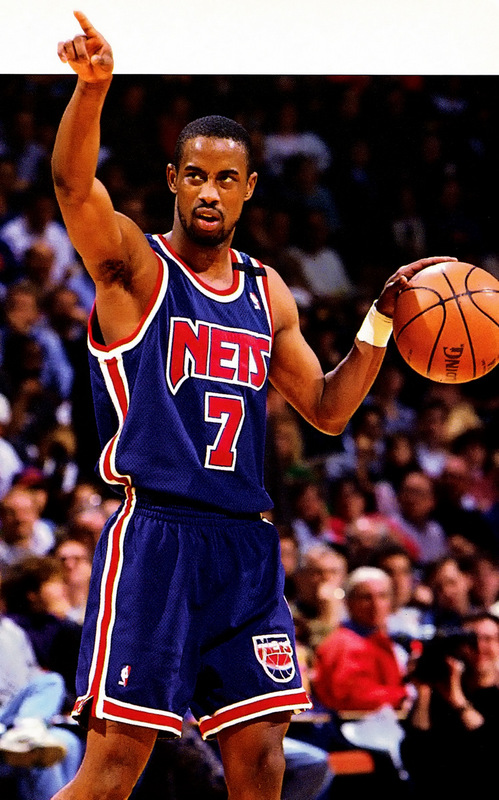 Kenny Anderson: By the time Anderson starred at Archbishop Molloy, he had already been known on the NYC basketball circuit for years, eventually earning more accolades than any New Yorker since Kareem. In light of those expectations, his NBA career might have seemed disappointing, but he still played 15 seasons. Stephon Marbury: “Starbury” made his name on the powerhouse Lincoln High School team from Coney Island. Despite a controversial NBA career, Marbury made two all-star teams and an Olympic team, and got to play for his hometown Knicks for four plus seasons. David Stern: Originally from Chelsea, David Stern was a successful corporate lawyer before he joined the NBA league office, where he was named the NBA commissioner in 1984. During his 30 years at the helm, the NBA became an international brand. Once I had already put pretty much this entire article together, I saw that the New York Post and New York Daily News had also come out with similar lists. The Post and I shared an identical starting five and some of the same reserves, but they had Roger Brown and Pearl Washington coming off the bench instead my more modern crew. 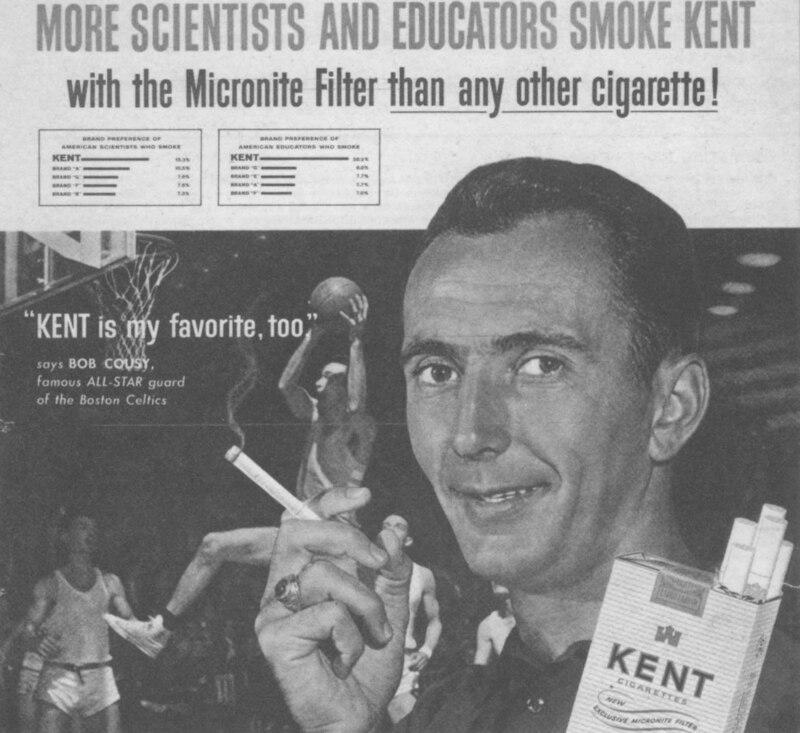 The Daily News went with a Top 25 list, and the first one they caught that the Post and I missed was Ritchie Guerin, an old-school Knick from Mt. St. Michaels. Both papers showed love to Charlie Scott, an ABAer who I’ve never seen play. But basically we were all on the same page.